What to look for when buying a used Ford Escape? The Escape is a compact crossover introduced by Ford in the 2001 model year in conjunction with Mazda, who introduced it as the Tribute that same year. The Escape was meant for North American sales only, though it was sold in a few other markets through Mazda manufacture. There are three generations of the Escape so far. Production of both models for U.S. sales was undertaken by Ford, though imported Mazda engines were used in some models during the first two generations of the Escape. 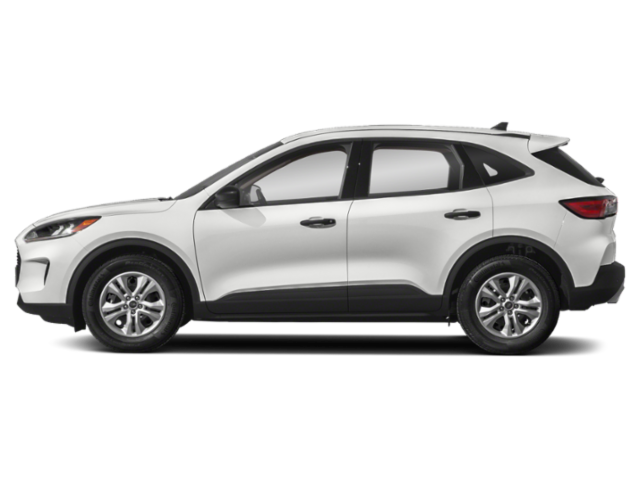 The Escape and Tribute were the first vehicles in the compact SUV segment to offer a fully independent suspension for more car-like handling and ride quality. Ford quickly offered a premium version of the Escape with its Mercury line, the Mariner. Front-wheel drive was standard with all-wheel drive as an option. Both four- and six-cylinder engines were available with four- and five-speed automatic transmissions. A hybrid model was offered from 2005-2007 as well. In 2008, a new generation (#2) of the Ford Escape was introduced to market. The Tribute and Mariner remained as well, coming along for the second generation. New body designs, specifically to continue with Ford's other sport utility offerings in the Explorer, Edge, and Expedition, were offered, but most of the Escape's underpinnings remained largely the same. The Escape Hybrid model returned in 2009 and was marketed until the 2012 model year. The Tribute also offered a hybrid model. In the 2012 model year, the Ford Escape entered its third generation. The Mazda Tribute was discontinued (in favor of the in-house CX-5 model) and the Mercury brand had been retired, leaving the Ford Escape as the only vehicle for this third generation. The Escape Hybrid remained as well, but globally the Escape's name changed to Kuga in most markets. High-mileage Escape models from the 2005-2006 model years are often cited as prone to transmission failure. The four-speed automatic is the one most often cited. The Escape otherwise enjoys a reputation as a relatively reliable crossover. What is the average price for Used Ford Escape? How many are for sale and priced below market? Where does used Ford Escape rank in comparison to competitor vehicles? What Is The Average Price Of A Used Ford Escape By Model Year? What Is The Average Price Of Competitor Cars To The Used Ford Escape? What Is The Average Price Of Used Ford Escape In The Top 10 Cities? The 2017 Ford Escape is a good-looking compact crossover-SUV that competes in an arena with some of the best offerings automakers can present. The fast-growing compact segment is a focal point for many manufacturers and Ford has managed to bring its A-game with the little Escape. The Escape offers a fun demeanor, great exterior look and a choice of three engine options. It's roomy inside, drives well, and has exterior color choices that border on ridiculous in their brightness. The Escape manages to be both contemporary and edgy. We feel it should be on most buyers' shopping lists in this segment. The Ford Escape was one of the first "cute-utes" from an American automaker to go head to head with the creators of the genre known as the Toyota RAV4 and Honda CR-V. Unfortunately for buyers of the first few years of the first generation Escape there were multiple recalls and quality was not up to the standards of its competition. Fast forward to this second generation Ford Escape and it's easy to see Ford pulled out all the stops engineering a world class compact family SUV that would please any owner worldwide. And no, it's not a "cute-ute" anymore. It's far too grown up for that. 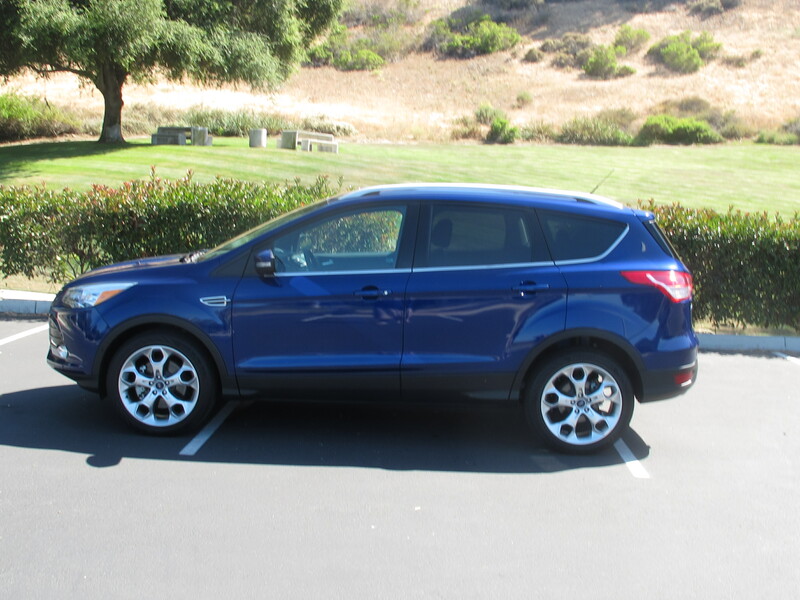 The 2015 Ford Escape is available in front or all-wheel drive with the choice of three engines—one is a 2.5 liter Duratec 4-cylinder good for 168 horsepower/170 lb. feet of torque, the second is a much more advanced 1.6 liter Ecoboost 4-cylinder which returns 178 horsepower/184 lb. feet of torque and lastly Ford offers a 2.0 liter Ecoboost turbo 4-cylinder boasting 240 horsepower/270 lb. feet of torque. We tested a fully loaded 2.0 liter model in Titanium trim as well as a 1.6 liter model in mid-grade SE trim. So which one did we like more and does the current Escape make a convincing alternative to the Nissan Rogue, Honda CR-V, Mazda CX-5 and Toyota RAV4? Read on to find out.